GIC, one of the largest institutional investors in the world, views cyber attacks as the biggest threat to its portfolio, as the fund increased the proportion of nominal cash and bonds to the highest mark in the last five years to help minimise risk. “My biggest worry is cyber security, how it hits different countries. For other kinds of risk I feel we are pretty well prepared. 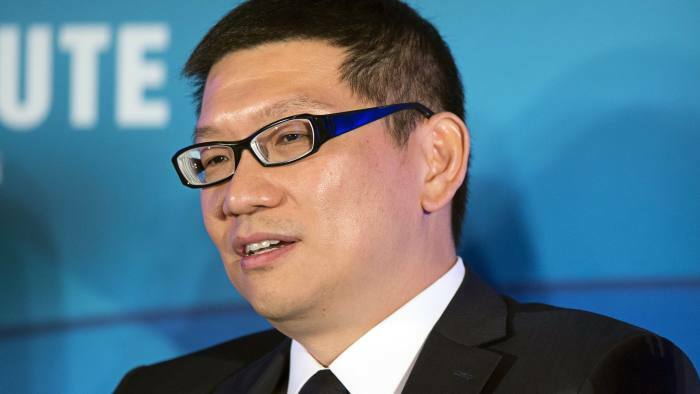 Cyber is a hard one,” said Lim Chow Kiat, chief executive of the Singapore state fund, adding that it is difficult to gauge how many companies worldwide are able to deal with these kinds of attacks. Other events adding to global volatility such as the escalating Sino-US trade conflict, the US Federal Reserve tightening rates and Brexit all trouble Mr Lim. But with cyber attacks, companies are facing threats that are harder to contain and predict. “The days in which your strategy is based on preventing cyber attacks is over. Now it’s much more about what do you do if you are attacked,” said Chia Tai Tee, chief risk officer at GIC. “It’s the same thing they say about terrorists. You don’t have to be right every time, you have to be right once,” he added. [Brexit] represents in some ways going back [on] all this success, progress we have made on many fronts Lim Chow Kiat, chief executive of GIC Cyber attackers’ increased sophistication and patience makes them particularly dangerous, with attacks often happening far after a breach has been made, said Mr Chia. Arranging contingency plans for other sources of volatility has been easier for the fund, which set up a risk model for a potential trade war more than a year ago. The US-China trade conflict will make it harder to generate returns, said Mr Lim, especially given today’s high asset prices and withdrawals of liquidity from financial markets. Brexit is another source of uncertainty for GIC; a “difficult problem” for the UK, Europe and the rest of the world, according to Mr Lim. “It represents in some ways going back [on] all this success, progress we have made on many fronts.” While Brexit “is a negative” for real estate such as Broadgate, a business district in the City of London that is among GIC’s UK investments, other local conditions help counter blows dealt by Brexit, said Mr Lim. In Broadgate’s case, these are the Crossrail link and growing rental demand from tech companies. GIC’s exposure to the UK has stayed the same year on year, at 6 per cent of its portfolio. The fund has de-risked its portfolio in light of higher global volatility partly by cutting exposure to equities in developed markets from 27 per cent to 23 per cent year on year, while boosting holdings of nominal cash and bonds by two percentage points to 37 per cent. The fund is also prepared to reduce investments in companies that are vulnerable to external shocks, said Mr Lim. Temasek, Singapore’s state investor, is also prioritising caution. While its portfolio has grown to a record S$308bn (US$226bn) in the 12 months to March, Temasek’s managing director for investment, Alpin Mehta, this week said the agency may slow its investment pace over the next nine to 18 months on the back of an uncertain market outlook.